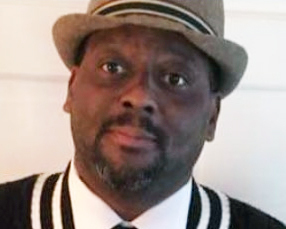 Direk T. Rodgers, 53, of West Haven, entered eternal rest on February 5, 2019. He was born on June 8, 1965 in Newark, NJ to Rosalie Hill and the late Claude Fuller. In addition to his mom, from a very young age; Direk was raised by his dad, Bennie Hill. Direk graduated from West Haven High School in 1983. He served in the Marine Corps before beginning his career in Connecticut as an Officer with the City of New Haven Police Department, where he retired as a Sergeant after 20+ years of service. After retirement, he obtained employment as a Security Officer for the U.S. District Court in Hartford. In addition to his mom and dad, he leaves to cherish memories his beloved son, Direk Rodgers, Jr.; brothers, Jonathan Rodgers (Ann) and Vincent Fuller; sisters, Tiffany Cash and Erica and Claurise Fuller; and a host of family and friends that loved him dearly. A celebration of Direk’s life and legacy will be held Monday, February 11, 2019, at 11:00 a.m. at Curvin K. Council Funeral Home, 128 Dwight St., New Haven. Visitation will be held from 10:00-11:00 a.m. Burial will be in Evergreen Cemetery. He was a good friend through the years .I fixed many cars for him and had a lot of laughs.Rest in peace my friend. Gone too soon is a man with a heart of gold and a spirit as bright as the sun. You’ve served your country well and your mission here has been completed. For all that you have been through, you somehow remembered to keep smiling and more importantly, you kept others smiling and laughing. I’ll remember all of the moments and times that made you -Direk. My condolences to all left behind to mourn your passing. May your family and friends glow with the healing of the Lord as they cherish fond memories of you. God bless you in His mansion, my brother. See you on the other side. Rest In Paradise. I will miss you dearly. I will alway remember your smile and humor. I was saddened when I heard the news. Rest on and give a big hug to all the family you will see again. Love you Direk. Rosa and Benny, I cannot know what it must feel like to lose your son, but what I do know is that God can give you a peace that surpasses all understanding; that will keep your heart and mind though Christ Jesus. Please be comforted in knowing that. God bless you all. Semper Fidelis my friend. Go with God. TO THE FAMILY OF DIREK RODGERS, I AM SORRY FOR YOUR LOSS. DIREK WAS A GOOD NATURED PERSON, HE HAD A GREAT LAUGH. DIREK WAS ALWAYS A BRIGHT LIGHT . A FRIENDLY PERSON ON AND OFF THE JOB. REST IN PEACE SERGEANT RODGERS. THANK YOU FOR YOUR SERVICE TO NEW HAVEN. I’m so sorry for you lost. Quick with a laugh, quick with a joke. Always felt safe working with Direk knowing that he had my back and the back of other Officers. Our condolences to the family. Derek jr we will keep you in our prayers. Keep strong during this difficult time! Rose and Bennie, our thoughts and prayers are with you and your family. May God’s peace sustain you at this difficult time.